Did Trends Win The Last Ultima Handicap Chase? Applying the Ultima Handicap Chase trends last year, produced a shortlist of three; one going on to finish in the frame in Tuesday's notoriously tough bettting heat. Vintage Clouds fared best of the quartet, finishing second, having been third the previous year, but he fell short on some key trends; he had pulled up last time in the Welsh National, and had won two handicap chases - exposure trends points towards a maximum of one, though that could be changing with the increased calibre of runners. Crucial Role and Singlefarmpayment also made the cut on trends, the latter then ruled out due to an unfavourable handicap mark - he had been 5th off similar the year previously and second off 142. The Dan Skelton-trained Crucial Role though had a classic Ultima Handicap Chase profile; unexposed novice with class, handicap experience, and stamina, but he had lacked runs in bigs fields and had not won over fences over 3m, eventually finishing 11th. One to watch next year? Winner Beware The Bear had won four handicap chases, so was quickly marked out on trends, though perhaps it was significant that they were his only chase wins, and that one had come at Cheltenham, where trends show course form is key. Dour stayer Beware The Bear jumped the last in front answered every call from jockey Jeremiah McGrath to win the 2019 Ultima Handicap Chase by a length and a quarter. 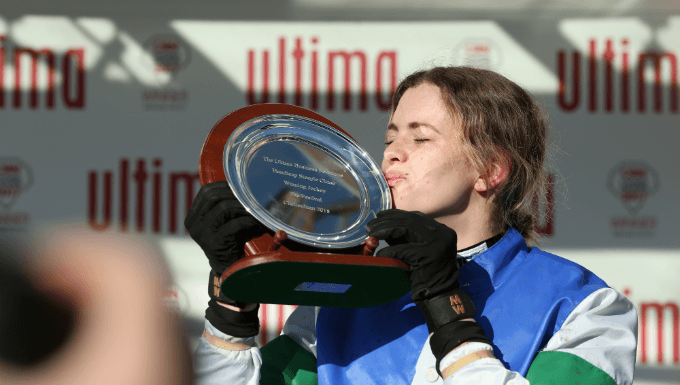 The nine-year-old had had wind surgery since finishing fourth in the race a year earlier, and had only run twice since - landing fourth in the prestigious Ladbrokes Trophy at Newbury, and winning a Cheltenham handicap on New Year's Day in first-time blinkers. Trainer Nicky Henderson left those blinkers on for the Festival 70 days later, and he defied a 5lb rise in the handicap to win under a huge weight of 11st 8lb. Back in second was the 2018 third Vintage Clouds, with owner Trevor Hemmings's other runner Lake View Lad lumping topweight into third this time. Bottomweight Big River finished fourth, just over three lengths behind the Nick Alexander-trained 25/1 shot.